South Boston, or "Southie" as its residents grittily refer to it, has undergone transformation, gentrification, and unforeseen growth. Once strongly and nearly-exclusively populated by the working-class Irish Catholic community and home to some of the country's oldest public housing, Southie is now diversified and its Real Estate market property values are rivaling and joining the highest in the city. 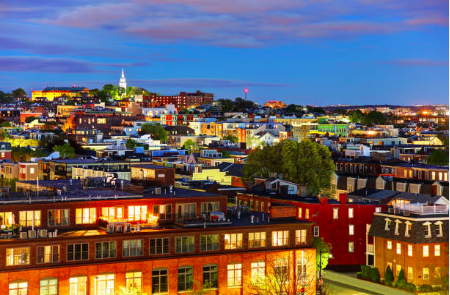 Demanded for its location, South Boston is one of the most convenient neighborhoods for those who work in the city. Brace yourself: $675,000 - $2.9 million will get you a single-family home and anywhere from $319,000 - $2.7 million will fetch you a condo. As the birthplace of Hollywood stars Matt Damon and Ben Affleck and the set of several movies ("How you like them apples?" - Good Will Hunting), South Boston is the epitome of Boston's true roots. As a peninsula abutting Dorchester Bay, the waterfront redevelopment has driven summertime traffic to Carson Beach, Castle Island, and Dorchester Heights. Broadway and Andrew are the two MBTA Red Line rapid transit stations serving Southie. The MBTA Silver Line (bus) connects the South Boston waterfront to Boston's South Station and Logan International Airport in neighboring East Boston. Numerous parks and outdoor green space encourage residents to enjoy their highly desirable community.